Hey y’all! I am SO excited to share this with you guys!!! It’s been about a month or so in the making and I’ve been dying to let you all in on what’s new in my world. You all know I’m a lipstick fanatic. I love lip colors: bright colors, dark colors – all of it! I just love COLOR! I feel like it adds so much to an outfit and overall look! So when I heard about this, I freaked, because it’s right up my alley for everyday wear! Whether I’m in my sweats for the day (Hello #momlife), or dressing up to head out, there’s a lip color for it all. Well if you haven’t heard of LIPSENSE yet, let me tell you…. 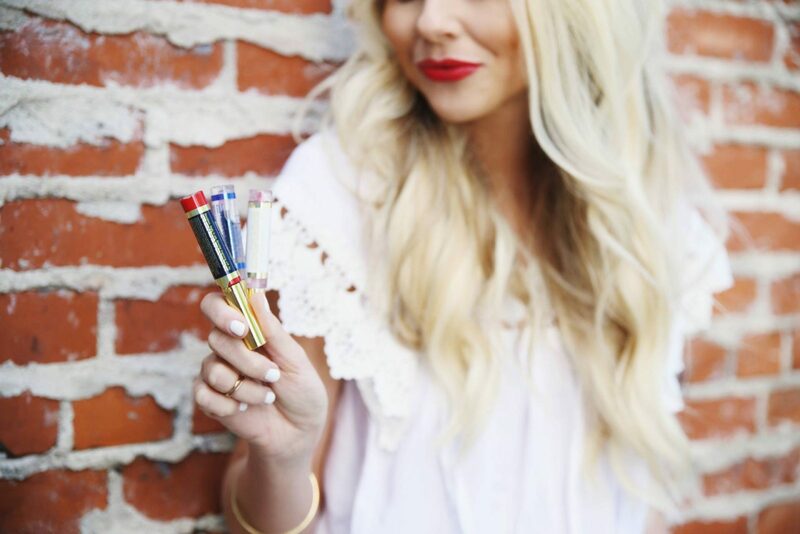 it is a lip color (not lipstick) and unlike any other lip stains, lipsticks, or colors – it molecularly bonds to your lips, meaning the color will last you anywhere between 4-18 hours! 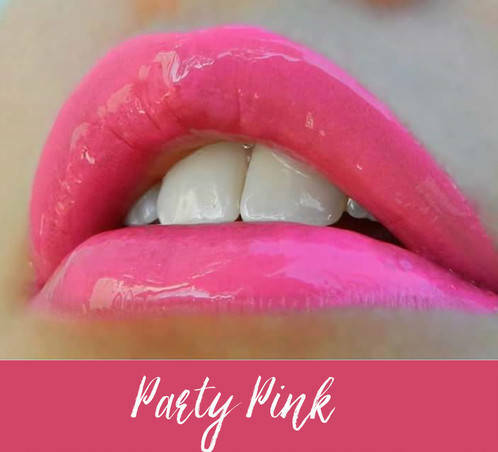 Apply it in the morning, eat your breakfast, kiss your husband, kiss your kids, go swimming (really, it’s waterproof)- and still, your lips will be radiating with color! It will not smudge, smear, or rub off! Additionally, 1 tube is approximately 4 sticks of lipsticks, meaning it will last you up to six months if worn every single day! It’s also gluten-free, vegan, non-GMO, and contains no animal byproducts ( I know this is a biggie for some people so I love these facts). Once you’ve found and purchased your perfect LipSense lip color, what’s the application process like? First, make sure you have removed any product on your lips. Next, take the LipSense wand and with a swiping motion, swipe on the color in one direction so the LipSense lipstick can form a solid bond with your lip. Wait 5 to 10 seconds before applying another coat. You should apply 3 thin coats in all. When your color is dry, then apply the LipSense gloss, which will help protect your color and keep your lips moisturized all day. Don’t worry if you make a mistake, just use your Ooops! Lip Color remover to quickly get rid of blemishes. Keep your glossy coat nearby as you’ll want to reapply it when you notice your lips getting dry. Another fun thing to note is that you can literally create endless amounts of colors. Layer different colors and play around to find what combos you love best! The possibilities are endless! So when someone says “I can’t find a color I like”… play around! You’re guaranteed to find something that looks great on you! LipSense is initially sold as a starter kit for $55 (plus tax) or you can join my team and save $5 on your starter kit and make money! The starter kit includes: LipSense liquid lip color, moisturizing gloss and an Ooops! Lip Color remover. Single LipSense colors are priced at $25.00, while LipSense glosses (Glossy Gloss, Matte Gloss & other Glosses) are $20.00 each. How Can I Buy LipSense? To begin your LipSense journey, you’ll need to purchase the starter kit which comes with Ooops! Lip Color remover, one lipstick (color), and a LipSense gloss. The gloss is a must because it’s what seals in your lipstick, keeps your lipstick lasting for hours and above else, keeps your lips moisturized! Become a purchaser today and you WILL end up loving this as much as me. You can also continue to be a customer or you can JOIN my KILLER team!!! 😉 For reals guys- I’m in this to win it and I can’t even tell you all of the exciting perks that come with this “job” – and I’m totally being serious here – I’m not permitted to advertise all of the amazingness that comes with being a distributor but let’s just say… a (paid for) car, vacations (think Costa Rica, Disney World), and so much more! I would LOVE to have you on my team! Email me at Ellabrooksblog@gmail.com if you are interested in signing up or have any questions! And follow along on my Instagram at @ellabrookslips and FB group EllaBrooksLips for updates! If you’re wondering why I jumped in with two feet and decided to become a distributor, there are a few reasons. 1. I truly believe in this product. I watched a few of my (blogger) friends sell it from afar and became convinced it was something I needed to personally try. I approached them. Again, I approached them! I LOVE that part of my story because as a blogger, so many things get thrown my way to try or promote, and often times I wonder if people think I truly love the product or if I’m just “selling” it to get paid. As a lipstick addict, I knew I needed to try it, and as soon as I did I was hooked. 2. We are just getting started. And when I say we are just getting started, I mean- this business, SeneGence, isn’t saturated yet. There are a ton of MLM’s out there and I for one and am so hesitant to jump on the bandwagon because, well, they just tend to have “that” rep for me. But when I looked into the business side of things, I knew I had to sign up, and now. 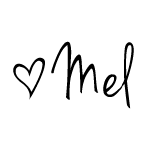 I mentioned the history/status of this company above, but we are just now starting to boom (thank you social media) and there is SO much potential for growth! Personally, I’m excited to see where this company will take me and my family! To see the colors I currently have in stock and to place an order CLICK HERE! Also- check out my Instagram to see other lip colors I wear & love! Previous Post Nordstrom SALE 40% off – Favorite Picks! SO excited for you and the new journey! I just signed up too and can’t wait!